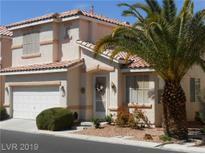 Below you can view all the homes for sale in the Maryland Pebble subdivision located in Las Vegas Nevada. 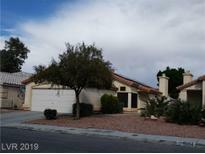 Listings in Maryland Pebble are updated daily from data we receive from the Las Vegas multiple listing service. To learn more about any of these homes or to receive custom notifications when a new property is listed for sale in Maryland Pebble, give us a call at 702-323-5939. Master has large walk-in closet with double doors. Newer AC unit. MLS#2089858. eProNet Realty. Easy to maintain landscape with both a covered patio and shed in the private backyard to offer. MLS#2088388. Prominent Realty Group LLC. All Appliances included, both the Kitchen and Large Family room feature Vaulted Ceilings, Laundry down. Low maintenance yard. MLS#2086116. Signature Real Estate Group. Laminate Flooring In Bedrooms. Great Location, A Must See! MLS#2085270. Vegas Capital Realty. Beautiful 2 story home with 3 bedrooms, 2.5 baths, 3 car garage, with tile flooring in kitchen and living room, laminated flooring in all rooms, high ceilings, fire place in the living room, ceiling fans, granite counter tops with island, large corner lot fully landscape and covered patio back yard. Ready to move in condition. MLS#2083565. United Realty Group. Relax in the beautiful backyard with a built in bbq and covered patio with terracotta tile. Solar energy. MLS#2082510. Realty ONE Group, Inc.
Community pool and park are part of the Oak Park HOA. MLS#2077676. Opendoor Brokerage LLC. Needs some TLC however lots of potential- This is a shortsale MLS#2078973. Keller Williams Market Place I. What are you waiting for, your new home awaits! MLS#2069216. Platinum R.E. Professionals. Great location -- convenient to shopping, freeway access, entertainment, and more! Come see today! MLS#2070160. Easy Street Realty Las Vegas. 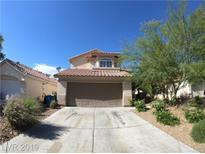 Spacious 3 car garage, WELCOME HOME!! ! MLS#2066593. Wardley Real Estate. Convenient to shopping, restaurants, entertainment, and freeway access! Come see today! ! MLS#2052263. Easy Street Realty Las Vegas. Great Size Bedroom With Large Closets That Share Lovely Bath! Come View! ! MLS#2046338. Turn Key Property Solutions.